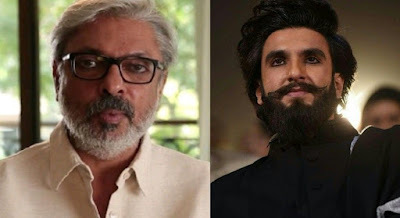 Famous filmmaker Sanjay Leela Bhansali is going to make another film with Ranveer Singh. However, He does not want to cast Deepika Padukone in this film. Knowing that from the onscreen to the offscreen, the pair of Ranveer-Deepika is a super hit. On the basis of this couple himself, Bhansali has given hit films like 'Bajirao Mastani', 'Ram Laila' and 'Padmavat'. Why Bhansali wants to cast Ranveer, not Deepika, but any other actress? Alia has also been looking forward to working with Bhansali for years. Only a few people know that Alia Bhatt had auditioned for Sanjay Leela Bhansali's film and had also been rejected. She wanted to play Rani Mukherjee's childhood role in 'Black' but could not pass the screen test. Years later, Sanjay Leela Bhansali wants to make him a lead heroine in his film. Bhansali has two such movies in which he is considering casting Alia. If Ranveer Singh does not talk, he can approach Bhatt for his film 'Gustakhya'. This movie is a biopic of the famous poet Shahir Ludhiyanvi. Abhishek Bachchan is rolling the lead in the film. At the same time, Deepika Padukone has turned down the offer for the heroine of the film. Explain that praising Alia, Sanjay Leela Bhansali said in an interview, "Alia Bhatt's promotion as an actress attracts me. The balances they are working with get very little in the actors of their age. It will be interesting to work with them.